Scalp Acupuncture is a modern acupuncture technique that combines Chinese needling methods with western medical knowledge of representative areas of the cerebral cortex, including anatomy, physiology, pathology and neurology. During a treatment, very short, fine needles are placed between the scalp and the cranium to achieve the desired therapeutic effects. The use of Scalp Acupuncture is exceptional for its fast effects – it is not uncommon for a client to notice an improvement after the first treatment. These positive responses can continue for a couple of days, but to obtain the best results, it may be necessary to repeat the treatment. 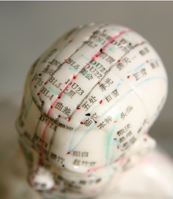 Scalp Acupuncture treats the same range of conditions as body acupuncture. Notably, it is most effective in the treatment of acute conditions, pain, nerve system disorders, and psychological and psychosomatic disorders. Paul is extremely passionate about using Scalp Acupuncture techniques with all aspects of his healing and is already seeing amazing results with his clients on a daily basis. Book your consultation with Paul today. Neurological disorders: acute and chronic paralysis, motor and sensory impairments, muscle atrophies. Pain: acute and chronic pain due to musculoskeletal, neurological, organic, or psychological origin. Rare and difficult conditions: unknown or undiagnosed conditions, as well as permanent or long-term disabilities that have not responded fully to traditional treatment. Complementary urgent care: emergencies where acupuncture intervention may play a life supporting role in protecting the body from further damages, and boosting the self-healing process.